MARIN—The MIJ shares the heart-warming story of Rogelio Chan, a worker at Pizza Antica. Chan was recently diagnosed with a brain tumor, but thanks in part to the efforts of his co-workers, he's recovering from life-saving emergency surgery. THE CASTRO—Via Menupages comes the news that a new confections shop called Sweet is now open on Church Street, next door to Sparky's. OAKLAND—The upcoming Lake Chalet has found itself an executive chef in Jarad Gallagher, last seen at One Market. 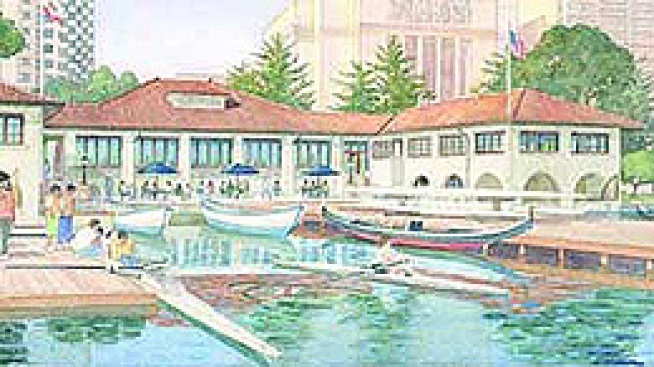 The 400-seat East Bay offshoot of Park/Beach Chalet is now slated for August. Until, there are plenty of renderings on the Chalet site.